One of the activities to be in space and time was on the „Zsofia” cruise boat on the River Danube on November, 5. 2014. whereas the of a so-called criminal … the first bomber in History … Guy Fawkes’s failure of the Gunpowder Plot from 1605. The Chartiy Party was celebrated, organized by Stephen Linfitt, the publisher of XpatLoop. Even though decades, centuries are far behind us, Guy Fawkes Day, sometimes called Bonfire Night, has become a celebratory day. It is observed in the United Kingdom and also in some places where the British Empire once held sway with parades and food, naturally fireworks were not missing, representing the explosives at the center of the failed plot and bonfires. 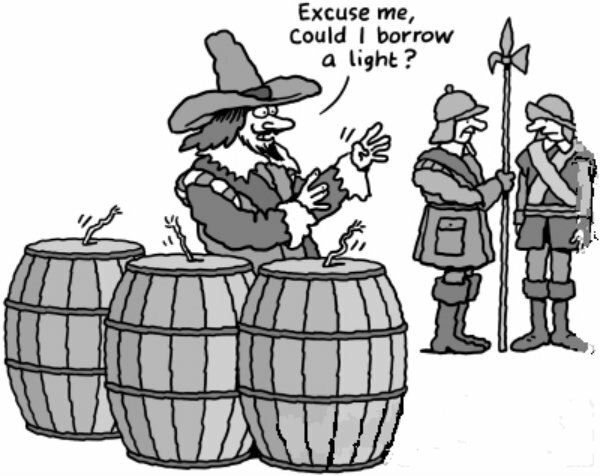 The holiday originated in Great Britain after Guy Fawkes planned to blow up the House of Lords, but was arrested when he was found hoarding explosives. Lucky, he could not make it, was arrested and as far as I am aware he was tied with a cannon ball to the pillars at the London Bridge and was left there to see as an example of his remains after the tides for the purpose of deterrence. So since then people lit bonfires as to honor the survival of King James. Now rolling over to Budapest celebration here the high flames of fire was presented on a huge projector, so we were all safe. Was an evening that sparkled with laughter and sizzled with fun. The celebration was also connected in giving generous support to two foundation. Number one … the „Csodalámpa” Maginal Lamp Foundation by supporting the Hungarian children suffering from life-threatening illness. Magic Lamp is already 24 years present in Hungary. The foundation supports many lives of ill children. The foundation makes their most cherished wish to come true They have funny experiences … giving them hope, happiness … dreams to come true … seeing the magical smiles on their faces. Plenty of complimentary superb choice of wines, pálinka from the Békési plantation, whisky … shaken, not stirred shaken, not stirred, soft drinks tea, coffee and food of plenty by Food Sponsors. Number two … support was raising awareness for Hungarian health related charity, the „Lélegzet” Breath Foundation. The goal is to help lung transplant patients, train cost and support doctors. Also the association aims to Hungary particular attention to and promote the large proportion of patients with lung healing. Both foundations are deeply welcomed and provides a chink of hope at these organizations. What a great evening it was. The high number of guests. The jovial atmosphere. the really very good dinner provided. Valuable prizes were donated to win in the free raffle and auction took place reaching by the end of the party. To board the cruise boat was free of charge and donations were highly accepted at the entrance that all was for the course for a great Hungarian charity in helping the needy. The celebration was quite a show with crunchy-munchy food, entertainment, lots of alcohol raffles, wines and pálinka and to highlight the evening we were rolling on the River of Danube on a one hour cruise, simply amazing. Last but not least it was a wonderful evening and the fund-raising at the XpatLoop Anniversary Event raised over 1.6 million HUF for the two Foundations.